The research, which was recently published* online in the Monthly Notices of the Royal Astronomical Society, shows that more oxygen, carbon and iron atoms exist in the sprawling, gaseous halos outside of galaxies than exist within the galaxies themselves, leaving the galaxies with fewer raw materials needed to build stars, planets, and life itself. Image of the galaxy SDSS J1126+2944 taken with the Hubble Space Telescope and the Chandra X-ray Observatory. The arrow points to the black hole that lost most of its stars due to gravitational stripping processes. When Natasha Powell emailed Tom Cech asking to work in his lab as an undergraduate research assistant, she had no idea that Cech just happens to be a Nobel laureate. After Cech, a distinguished professor of chemistry and biochemistry at CU-Boulder, offered her the position, a Google search revealed to Powell that her new boss was a world renowned researcher recognized for his discovery of the ribozyme. Powell, now a junior, has worked in Cech’s lab since she was a freshman. She is triple majoring in neuroscience; molecular, cellular and developmental biology; and biochemistry. Powell is also minoring in French and dance with an emphasis on classical ballet. Powell emailed Cech about her interest in cancer research and her desire to work with him, although at the time she didn’t know he was a Nobel laureate. To say that Powell is focused and driven is a bit of an understatement. She’s been interested in science for as long as she can remember. While in high school in Spring Lake Park, Minnesota she wanted to pursue a career in pediatric neurosurgery. She attended a talk given by Dr. John Ohlfest, a researcher at the University of Minnesota, who was a pioneer in the treatment of glioblastomas—malignant brain tumors—using gene therapy and novel immunotherapies. Fascinated with his research, Powell approached him after the talk to ask about working in his lab despite being in high school. During the time that Powell was working in his lab, Ohlfest was diagnosed with malignant melanoma that had metastasized to his lungs. He died a few months later. That experience for Powell became a turning point in her life. Powell then worked for Dr. David Largaespada at the University of Minnesota, who was conducting similar cancer research as Ohlfest. By the time Powell graduated early from high school, she had more than a year of hands-on cancer research under her belt and was looking at universities where she could get into research as an undergraduate. That led her to CU-Boulder. One of the projects Powell worked on with Cech’s team was examining mutations in the telomerase reverse transcriptase (TERT) gene promoter. They looked at 23 urothelial (bladder) cancers. Their data confirmed that a finding of high telomerase levels could predict whether a patient’s bladder cancer was fatal or survivable. Using their research could give medical diagnostic companies the knowledge to develop a test that could be used in a doctor’s office. The data from their latest research was published in February 2015 in Science, one of the top scientific journals in the world. Powell’s advice to students, regardless of major, is to take advantage of professors’ office hours. Powell’s plans after graduating from CU in December 2016 are to get a doctorate and conduct immunotherapy-based cancer research focusing on glioblastomas and melanomas. It’s no surprise that she’s busy planning her next academic steps. From the moment he arrived at the University of Colorado Boulder, Colden Rouleau wanted to make a difference in aerospace engineering technology. He didn’t have to wait long. Rouleau, a first-year PhD student in CU-Boulder’s Department of Aerospace Engineering Sciences (AES), is one of over 40 students who helped design and build the Miniature X-ray Solar Spectrometer (MinXSS), a tiny cube satellite measuring roughly the size of a loaf of bread and weighing about as much as a gallon of milk. 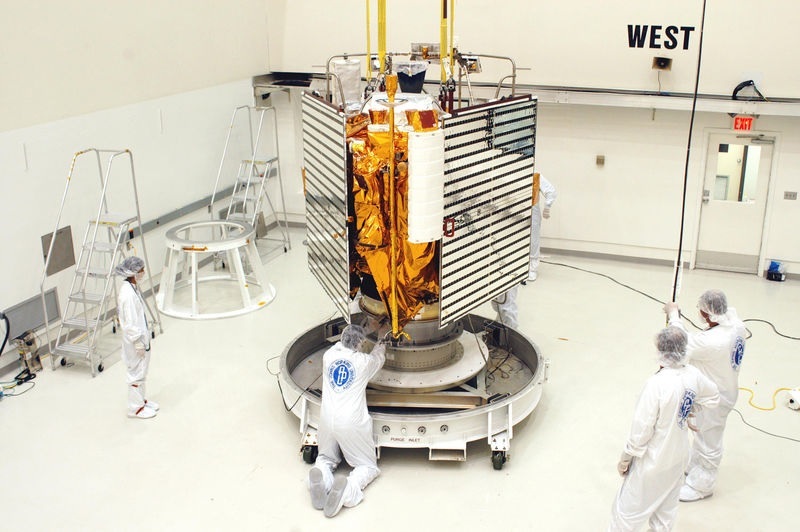 The MinXSS, which launches from Cape Canaveral, Florida on Dec. 3, will study how powerful electromagnetic emissions from the sun impact the Earth’s atmosphere, an effect known as space weather. And contrary to the notion that satellite building is only for pros, the MinXSS was built by AES students in collaboration with researchers at the Laboratory for Atmospheric and Space Physics (LASP). The mission continues a successful tradition of CU-Boulder students designing and flying CubeSats, including the Colorado Student Space Weather Experiment, which launched in September 2012. Over the past two decades, CU-Boulder has become a world leader in the development of CubeSats, which are low-cost, short lifespan satellites built to take specific scientific observations and measurements. The MinXSS mission is just the latest example of CU-Boulder’s commitment to advancing CubeSat technology through productive partnerships with industry and government. For example, CubeSats don’t have propulsion systems of their own, so they need to hitch a ride to space. Enter United Launch Alliance (ULA), which will give the MinXSS a ride to the International Space Station (ISS) via one of its Atlas V rockets. 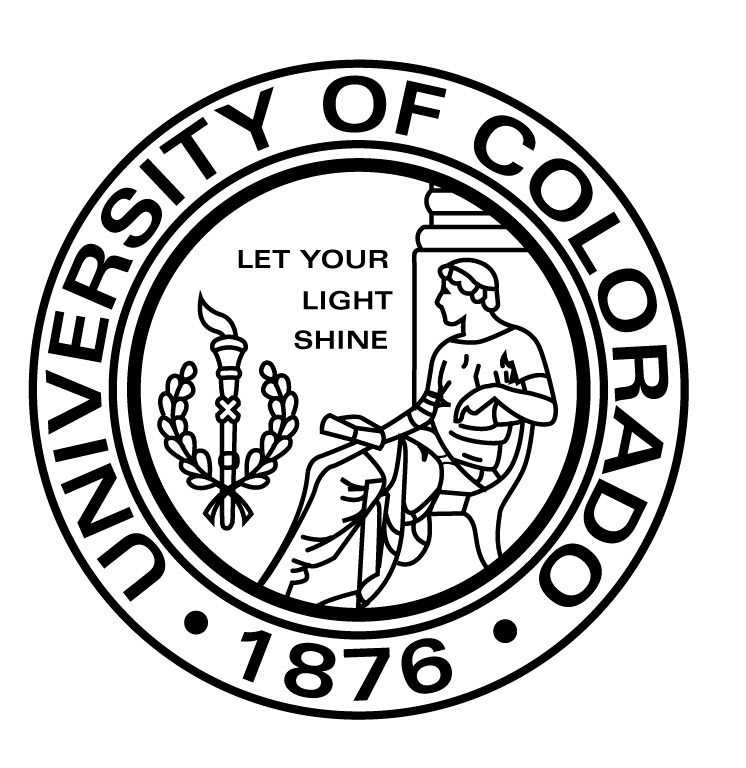 In November, the Centennial, Colorado-based ULA announced that CU-Boulder will also receive a free CubeSat ride to space in 2017 as part of the aerospace company’s new initiative to make CubeSat launches more affordable and accessible to academic institutions nationwide. Another collaboration comes via Blue Canyon Technologies (BCT), a Boulder, Colorado-based aerospace company founded by CU-Boulder graduate George Stafford. To keep itself orientated toward the Sun correctly, the MinXSS will incorporate an XACT attitude determination and control system built by BCT. 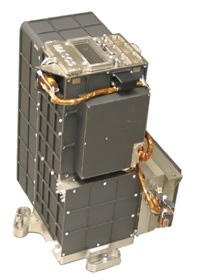 Once delivered to the ISS, the MinXSS CubeSat will be deployed into space in January 2016 and operate for up to 12 months. CubeSat deployments from the ISS via a specially designed CubeSat deployer are made possible through a Space Act Agreement between NASA and NanoRacks LLC. All in all, it adds up to a successful aerospace engineering program that will only continue to grow. NASA’s MESSENGER mission to Mercury carrying an $8.7 million University of Colorado Boulder instrument is slated to run out of fuel and crash into the planet in the coming days after a wildly successful, four-year orbiting mission chock full of discoveries. The mission began in 2004, when the MESSENGER spacecraft launched from Florida on a seven year, 4.7 billion mile journey that involved 15 loops around the sun before the spacecraft settled in Mercury’s orbit in March 2011. Since then the Mercury Atmospheric and Surface Composition Spectrometer (MASCS), built by CU-Boulder’s Laboratory for Atmospheric and Space Physics (LASP), has been making measurements of Mercury’s surface and its tenuous atmosphere, called the exosphere. “The spacecraft is finally running out of fuel, and at this point it’s just sort of skimming the planet’s surface,” said Senior Research Scientist William McClintock of LASP, the principal investigator of the MASCS instrument for the mission. It could crash onto Mercury’s surface or run into towering cliff-like features known as scarps that are evidence of a planet-wide contraction as the object cooled, he said. 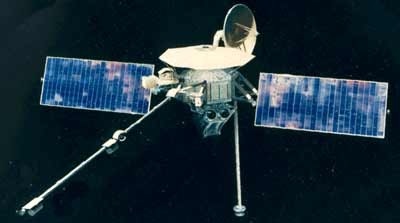 Mercury is about two-thirds of the way closer to the sun than Earth and has been visited by only one other spacecraft, NASA’s Mariner 10, in 1974 and 1975. About half the size of a compact car, MESSENGER is equipped with a large sunshade and is toting a camera, a magnetometer, an altimeter and four spectrometers. Baker said CU-Boulder’s involvement in the MESSENGER mission has helped attract bright and energetic faculty, postdoctoral fellows and graduate students. Even undergraduates have been participating in the mission including senior Ryan Dewey, a 2014 Goldwater Scholarship winner who sought out Baker as a sophomore because he wanted to be at the forefront of the MESSENGER discoveries. CU-Boulder’s LASP has designed and built instruments that have visited or are en route to every planet in the solar system. As the MESSENGER mission to Mercury winds down, LASP has a student-built dust counter on NASA’s New Horizons mission, which launched in 2006 and will make its closest flyby of Pluto — 7,000 miles — on July 14. LASP also built instruments for NASA spacecraft now at Mars and Saturn. The Applied Physics Laboratory at Johns Hopkins University manages the MESSENGER mission for NASA. Sean Solomon from the Lamont-Doherty Earth Observatory, Columbia University, is the MESSENGER principal investigator. For more information about MESSENGER visit http://messenger.jhuapl.edu/. For more information about LASP, visit http://lasp.colorado.edu/. The CU-Boulder authors are part of the Soft Materials Research Center (SMRC) headquartered on campus, one of 12 Materials Research and Science Engineering Centers selected by the National Science Foundation for funding in February 2015. 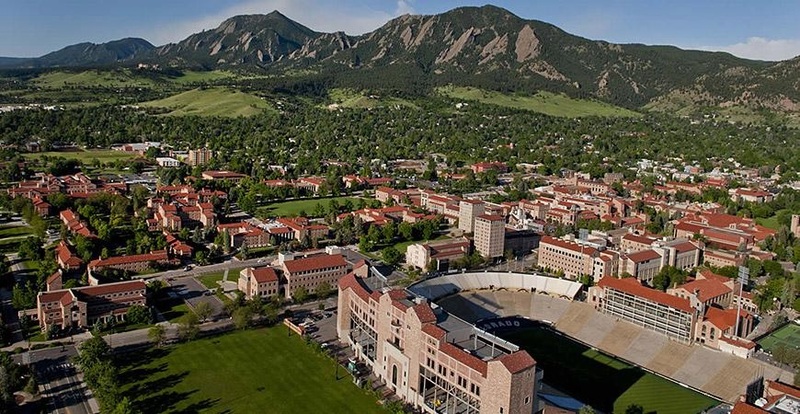 The CU-Boulder center was founded with a $12 million NSF grant over six years. Clark is the SMRC center director and Walba is the associate director. Other paper co-authors include the University of Milan’s Tommaso P. Fraccia, Giuliano Zanchetta and Elvezia Paraboschi and the University of Parma’s Giorgio Dieci. Parma University is located in Parma, Italy.